The Wheel of Time turns and Ages come and go, leaving memories that become legend. Legend fades to myth, and even myth is long forgotten when the Age that gave it birth returns again. In the Third Age, and Age of Prophesy, the World and Time themselves hang in the balance. What was, what will be, and what is, may yet fall under the Shadow. Undisturbed by news and war; life in the Two Rivers is both peaceful and quaint. With no great troubles to speak of, except for the lack of crops and wolf attacks in the night, preparations are underway for the Bel Tine festivities. Though, In the deep of Winternight; Dark forces – bestial Trollocs and Myrddral – attack the village of Emond’s Field, seeming to specifically target three young men – Rand, Mat and Perrin. The three youths, and the innkeeper’s daughter, Egwene flee the village in hopes to save their village from further harm, accompanied by Moraine – an Aes Sedai; a magician with the ability to wield the One Power, and her Warder, Lan. The two strangers brings warnings of a terrible evil awakening in the world. Unbeknowest to the boys; one of the them is destined to unite the world against the rising darkness and lead the fight against a being so powerful and evil it is known simply as the Dark One. Destined to wield the tainted power of Saidin. Destined to go mad. 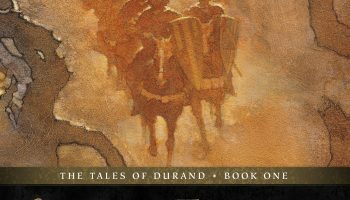 Robert Jordan has recreated the familiar and well-loved Tolkienesque world that fantasy readers have come to love (or detest) with this seemingly-classical coming of age story. With mythological allusions, innovative magic systems, full and lengthy details, and exhilarating adventures, readers of epic-fantasy are sure to love the series. Some readers may be put off by the length, and yes – the repetitive and long descriptions, and the Tolkenesque features of the book – those that are able to get into it, and read on will find a creative and unique world which branches away from the Tolkien-like themes in the sequels. I’ve heard a lot of people complain about the pacing simply being too slow – though, I didn’t find it to be that way at all. The Eye of The World reads as the first part in a trilogy, as it was originally intended. However, the series is now 13 books long (14 if you include the prequel – New Spring, my review for that is here). The last book (#14/15) – A Memory of Light, co-written by Brandon Sanderson is set to be released Spring 2012. 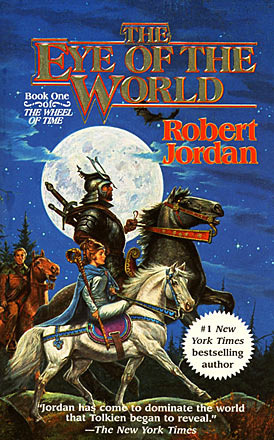 Out of the Wheel of Time books written wholly by Robert Jordan (books 0-11) this tied with The Shadow Rising (book 4) as my favorite. The characters react believably to their situations, and are at this point are ignorant and innocent. 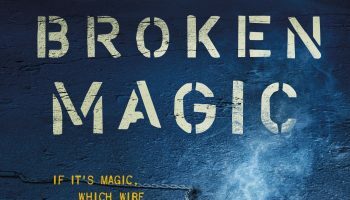 With Jordan’s great worldbuilding and expertise with character development, you really get to feel that alongside them; the weariness of long travel, the fear of pursuit, the lust for knowledge and so much more. Each of the main characters (Rand, Mat, Perrin, Egwene, and Nynaeve – the Wisdom from the Two Rivers -) learn things that are part of their defining roles which set them apart from the others throughout the course of the series. This is truly the beginning of an epic tale, and it is one of the greatest fantasy novels of all time. I’m having trouble doing this book justice, the Wheel of Time is by far my favorite series, but to describe a 688 paged fantasy book with the beginning of intricate plots and developing characters may well be beyond me. letter of thanks for having such genuinely interesting information. I wish you updated it more often. Nice subject , I really am trying how to make my blog this worthwhile ! I tried reading this and couldn’t get into it, mostly because I started getting annoyed when Jordan had to pound in the fact that Perrin had yellow eyes over and over and over again. A few reminders is fine, but it hit the point that it was too much and felt like he didn’t expect his readers to remember what happened from one paragraph to the next… glad you enjoyed it though, lol. I can’t stand the books, but my boyfriend loves them. Great review–I like how it touched on both the strengths and weaknesses of the book. Rickard.. I really couldn’t have said it better myself! Thank you, and I totally agree with you. 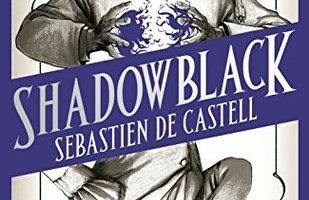 I agree completely with your review and I understand that this is a hard novel to review especially for us fans. It can be difficult remaining unbiased towards a work we find absolutely excellent both in all its simplicity and at the same time its intricacy. Non the less you point at exactly the things people dislike WoT for, it’s length, the slow plot development, its densely written, detailed descriptions and it’s reliance on all the many tropes established by Tolkien. At the same though, as you said, it branches away from these which happen fairly early on. In the grand narrative the fight against the evil lord of this world still remains as the biggest trope it borrows but still the attentive reader will notice it’s almost more of a backdrop to the real conflict within the books and the characters themselves. Namely the struggle for the characters to find their place in this world, to find themselves, to struggle with their moral concerns regarding their actions while at the same time working towards that goal of saving the world and still remain empathic humans and not become that in their deeds which they fear the most, their enemy itself. The Wheel of Time isn’t for the reader expecting fast action on every other page, rather its’ for the reader who wants to get drawn in for the big experience, relish the worldbuilding, the expanding plot and embrace its characters. 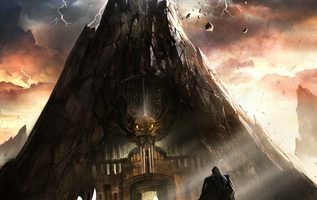 If you are that reader you will find a work that truly expands on Tolkien’s world building and take it to it’s very height while at the same time becoming a work that truly stands on its own, creating a world so very different from Tolkien and something more than the sum of its parts. Something every fan know about within themselves. And The Eye of the World is only the beginning of this tale!